워싱턴포스트, 문대통령은 왜 북한과 대화하려 하나 - Newspro Inc.
워싱턴포스트는 문재인 정부가 최근 남북이 판문점에서 만나 군사와 인권 문제들에 대해 논의하자는 제안을 월요일에 발표했다고 전했다. 북한이 동의할 경우 2015년 이래 두 정부가 처음으로 대화를 하게 되는 것이다. 워싱턴포스트는 문 대통령의 대화 정책 강행은 세 가지 큰 이유로 설명된다고 보도했다. 1. 북한과의 어떤 군사적 충돌도 남한에게는 대재난이 될 것이다. 북한이 남한 전역에 도달 가능한 미사일에 탑재 가능한 핵무기를 소유하게 됨으로써 이제 엄청난 파괴를 불러올 전쟁의 가능성이 높아졌다는 점이다. 이들 핵무기의 다수가 감추어져 있어 선제공격으로 이들을 무력하게 만들 가능성은 높지 않다. 북한의 최신 탄도미사일은 국제우주정거장보다 7배 높게 날아가며 7월 3일 대륙간탄도미사일을 성공적으로 시험 발사했다. 북한과 대응하기 위한 다른 주요 방법은 경제적 제재를 가하여 북한이 핵무기 프로그램을 중단하도록 만드는 것이다. 북한은 이미 제재를 당하고 있으며 그 제재는 이미 수년 간 지속되었다. 그러나 그 기간 동안 북한의 무기체계 추구를 향한 의지는 더욱 굳건해진 것으로 보인다. 지금까지 적어도 북한에 대해서 제재는 효력이 없었다. 미국은 여전히 제재를 선호하지만 국경을 인접한 동맹국인 중국이나 러시아가 더 강한 경제적 압박에 온전히 동참할 것이라고 상상하기는 여전히 어렵다. 다음은 뉴스프로가 번역한 워싱턴포스트 기사 전문이다. Faced with a North Korea that seems both increasingly unpredictable and increasingly militarily capable, South Korea’s new government has made a formal proposal: It’s time for new talks. 점점 더 예측 하기 어려워지며 군사적으로 점점 강해지는 북한을 향해 한국의 새 정부가 공식적인 제안을 내 놓았다: 이제 새로운 대화를 나눌 때라는 것이다. Suh Choo-suk, South Korea’s vice defense minister, announced the proposal Monday, suggesting that the two neighboring nations could meet in the border village of Panmunjom to discuss military and humanitarian issues. If the North agrees (it so far has issued no response), it would be the first talk between the two governments since 2015. 서주석 한국 국방부 차관은 이웃한 두 국가가 국경지역의 판문점에서 만나 군사와 인권 문제들에 대해 논의하자는 제안을 월요일에 발표했다. 북한이 동의할 경우(지금까지는 응답하지 않았지만), 2015년 이래 두 정부가 처음으로 대화를 하게 되는 것이다. The news comes in the wake of a number of key developments in North Korea’s nuclear weapons program — including, most shockingly, the July 4 launch of an intercontinental ballistic missile that could hit Alaska. But talks have long been touted as an option for South Korea’s liberal new president, Moon Jae-in, when it comes to dealing with the North. 이 소식은 북한 핵무기 프로그램과 관련한 많은 주요 사건에 뒤이어 전해진 것으로, 특히 이 중 아주 놀라웠던 사건은 지난 7월 4일 알래스카까지 도달할 수 있는 대륙간탄도미사일의 발사였다. 하지만 븍한을 대응하는 데 있어 대화는 한국의 문재인 신임 대통령에게 옵션으로 오랫동안 언급되어 왔다. “I will meet Kim Jong Un when preconditions of resolving the nuclear issue are assured,” Moon told The Washington Post’s Anna Fifield and Yoonjung Seo in May, days before he entered office. 지난 5월 문 대통령은 대통령 취임 며칠전, 워싱턴 포스트의 안나 파이필드 기자, 그리고 서윤정 기자와의 인터뷰에서 “핵 문제 해결이라는 전제 조건이 확실해 질 때, 김정은 위원장을 만날 것이다”고 말했다. 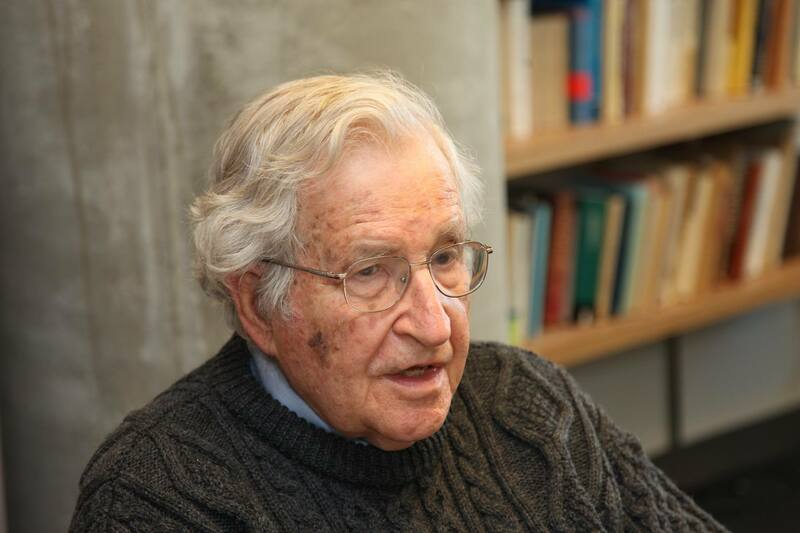 Will a policy of dialogue work? Right now, that’s impossible to say, but Moon’s push for it comes down to three stark reasons. 대화 정책이 통할 것인가? 지금 당장은 그 여부를 가릴 수 없지만, 문 대통령의 대화 정책 강행은 세 가지 큰 이유로 설명된다. 한국은 최근 몇 주간 수차례 행해진 북한 미사일 발사 시험 이후의 군사분계선 인근 적대행위 중지를 위한 군사적 대화를 북한에 제안하고 있다. 북한과의 어떤 군사적 충돌도 남한에게는 대재난이 될 것이다. Internationally, a lot of attention is paid to North Korea’s nuclear weapons and its advancing missile technology. The fear is that once North Korea has the ability to launch a nuclear weapon that could target the mainland United States, it would be a major deterrent against any future military action. 전세계적으로 북한의 핵무기와 발전하는 미사일 기술에 많은 이목이 집중되고 있다. 북한이 미국 본토를 겨냥할 수 있는 핵무기 발사능력을 갖게 된다면 그것이 향후 모든 군사적 행동에 대한 주요 억지력이 될 것이 우려된다. 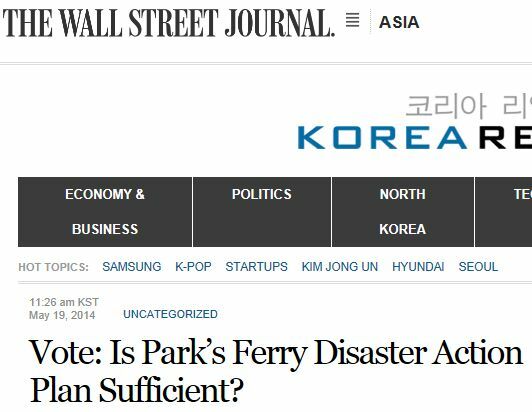 But for Seoul, the deterrent is already there. 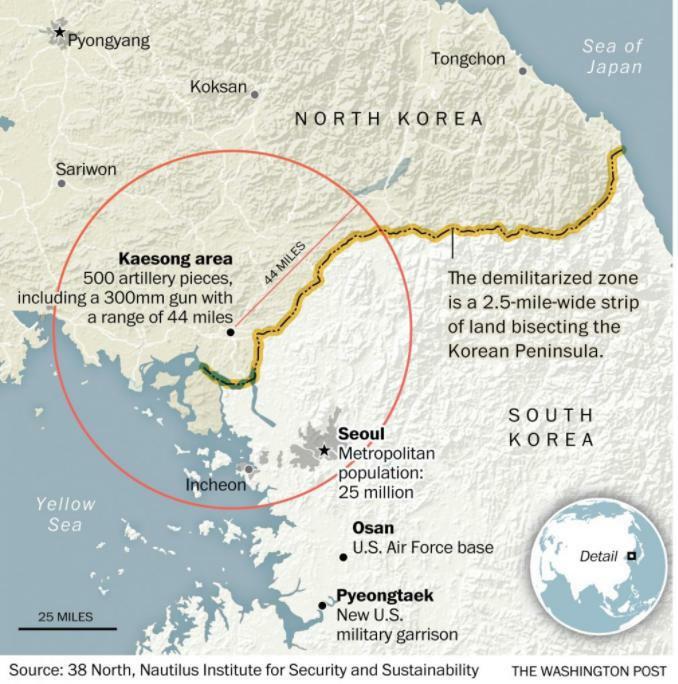 South Korea’s capital city sits just 30 miles from the Korean Demilitarized Zone (DMZ). The city, which has a metropolitan area of around 25 million, is within easy reach of North Korea’s artillery guns. If North Korea decided to use these weapons, they could cause huge damage in a short amount of time. 그러나 서울에 있어서 억지력은 이미 있는 셈이다. 남한의 수도 서울은 비무장지대에서 겨우 30마일 거리에 있다. 2천5백만 인구의 거대 도시가 북한 대포의 사정권에 들어와 있다. 만약 북한이 이 무기들을 쓰기로 작정하면 단시간에 엄청난 피해를 발생시킬 수 있다. One study from 2012 estimated that 64,000 people could be killed by this artillery in the first day. 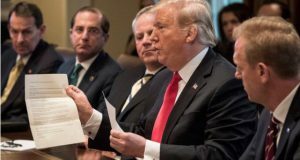 Even if South Korea and its American allies could destroy these weapons quickly, it would likely not be quick enough to stop massive bloodshed — including considerable losses among U.S. troops stationed in South Korea. 2012년의 한 연구보고서는 이러한 대포 공격 첫날 6만4천 명이 희생될 수 있다고 예상했다. 남한과 미군의 연합군이 신속하게 이 대포를 파괴한다고 해도 대량 살상(남한에 주둔한 상당수 미군 부대의 희생을 포함해)을 막을 수 있을 만큼 충분히 빠르지는 않을 것이다. Worse still, North Korea now has nuclear weapons that it can likely mount on missiles that could likely reach South Korea, raising the possibility of a conflict of incredible destruction. Many of these nuclear weapons are hidden away, meaning a preemptive strike would be unlikely to disable them. 더욱 좋지 않은 점은, 북한이 남한 전역에 도달 가능한 미사일에 탑재 가능한 핵무기를 소유하게 됨으로써 이제 엄청난 파괴를 불러올 전쟁의 가능성이 높아졌다는 점이다. 이들 핵무기의 다수가 감추어져 있어 선제공격으로 이들을 무력하게 만들 가능성은 높지 않다. 북한의 최신 탄도미사일은 국제우주정거장보다 7배 높게 날아간다. The other big option for dealing with North Korea is to apply economic pressure, rather than military pressure, in the hope of convincing North Korea to halt its nuclear weapons program. There is evidence that in some cases such a policy can work: Sanctions certainly played at least some role in bringing Iran to the table to negotiate its own treaty on nuclear weapons. 북한과 대응하기 위한 다른 주요 방법은 군사적 압력이 아니라 경제적 제재를 가하여 북한이 핵무기 프로그램을 중단하도록 만드려 하는 것이다. 그러한 정책이 일부 사례에서는 효과적일 수 있다는 증거가 있다. 예를 들면 제재는 이란을 핵무기 협약을 위한 협상 자리로 나오게 하는 데 적어도 어느 정도 역할을 분명히 했다. But here, too, there’s a problem. North Korea is already under sanctions and it has been for years. And during that time, it appears to have become more determined to pursue its weapons system. So far, at least, sanctions have not worked on North Korea. 그러나 여기에 역시 문제가 있다. 북한은 이미 제재를 당하고 있으며 그 제재는 이미 수년 간 지속되었다. 그런데 그 기간 동안 북한의 무기체계 추구를 향한 의지는 더욱 굳건해진 것으로 보인다. 지금까지 적어도 북한에 대해서 제재는 효력이 없었다. Experts say that North Korea has become adept at evading these economic restrictions placed upon it, often using illicit networks to organize its trade. “The sanctions were perfunctory,” Ri Jong Ho, a former North Korean official who defected in 2014, recently told The Post. 전문가들은 북한이 자국에 가해진 이러한 경제 제재를 벗어나는데 능숙해져서 종종 불법적인 조직망을 이용해 무역거래를 한다고 말한다. 2014년 탈북한 이종호 전 북한 관료는 최근 워싱턴포스트에 “제재는 형식적일 뿐이었다”고 말했다. Sanctions do still seem to be the favored option for the United States. There are signs that the Trump administration is hoping to increase sanctions effectiveness by getting more creative — targeting Chinese firms and individuals involved in trade with North Korea, or smaller countries like Sudan that still have an economic relationship with Pyongyang. However, it’s still hard to imagine China or Russia getting fully on board with more economic pressure. Both countries share borders with North Korea and have little desire for it to collapse. Even being charitable, Beijing and Moscow’s commitment to sanctions has been halfhearted. 미국은 여전히 제재를 선호하는 것으로 보인다. 트럼프 행정부는 북한과 거래를 하는 중국 기업들과 개인을 대상으로 하거나 여전히 북한과 경제협력 관계를 갖고 있는 수단과 같은 작은 국가들을 대상으로 삼는 등 보다 창의적인 방법을 통해 제재 효과를 높이기를 바라는 듯 보인다. 그러나 중국이나 러시아가 더 강한 경제적 압박에 온전히 동참할 것이라고 상상하기는 여전히 어렵다. 두 나라 모두 북한과 국경을 접하고 있으며 북한이 붕괴되기를 바라지 않는다. 심지어는 자선을 베풀기도 하면서 중국과 러시아의 북한에 대한 제재 노력은 별로 열정적이지 않았다. Moon still supports sanctions, suggesting that new ones were needed when he appeared in Berlin with German leader Angela Merkel shortly after the July 4 ICBM test. 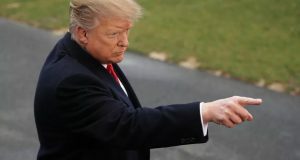 But he is also seeking to improve Seoul’s relationship with Beijing, currently under huge strain due to THAAD, a U.S. missile system recently installed in South Korea and viewed as a threat by China. 문 대통령은 여전히 제재에 동의하며, 7월 4일 ICBM 시험 발사 직후 독일 엥겔라 메르켈과 베를린에서 만났을 때 새로운 제재가 필요하다고 말했다. 그러나 문 대통령은 최근 중국이 자국에 대한 위협이라 여기는 미국 미사일방어체계인 사드가 한국에 설치되며 이 때문에 현재 심한 긴장을 겪고 있는 한중 관계를 개선하려는 방법을 모색하고 있다. North Korean defector tells how he secretly made millions for Kim regime. 북한 탈북자는 자신이 김정은 정권에 수백만 달러를 어떻게 비밀리에 벌어주었는지 말한다. 지난 30년 동안 북한인 리종호는 비밀리에 평양으로 수백만 달러를 송금하는 책임을 맡았던 많은 사람들 중 한 명이었다. 그는 2014년 가족과 함꼐 탈출하기 전까지 비밀에 쌓여있는 “39호”를 위해 일했다. 그는 이 이야기를 하기 위해 워싱턴포스트 안나 파이필드와 함께 했다. Moon is far from the first South Korean leader to seek dialogue with North Korea. 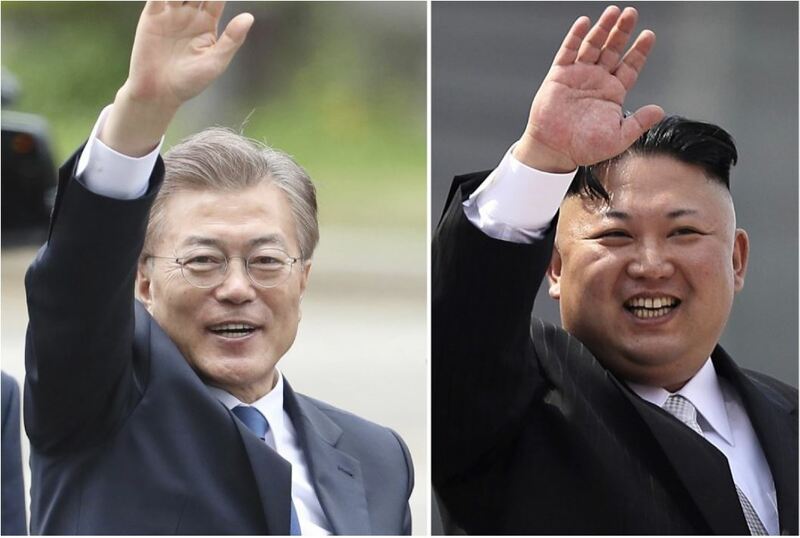 Two of his liberal predecessors, Kim Dae-jung and Roh Moo-hyun, implemented what was known as a “Sunshine Policy” between 1998 and 2008. The policy was designed to soften Seoul’s stance toward Pyongyang, encouraging political interaction and economic agreements. 문 대통령이 북한과 대화를 추구하는 첫 한국 대통령이 아니다. 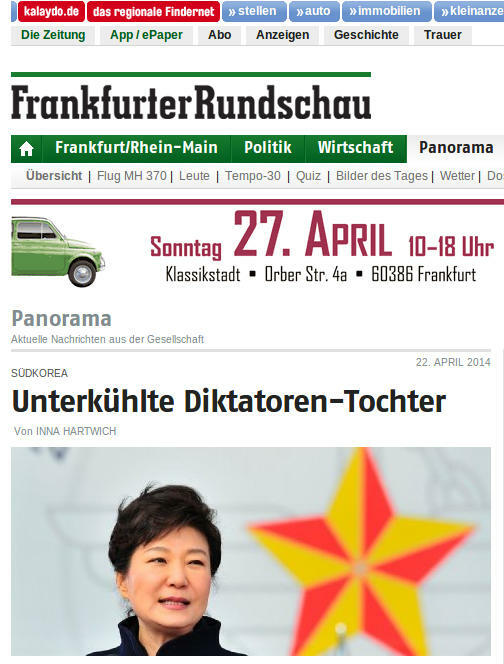 전직 진보 전임자들 중 김대중, 노무현 전 대통령은 1998년과 2008년 사이 “햇볕정책”으로 알려진 정책을 수행했다. 햇볕정책은 븍한을 대하는 한국 정부의 태도를 누그러뜨려 정치적 상호 교류 및 경제 합의를 북돋도록 기획되었다. Moon knows the policy well — he was Roh’s campaign manager during his election bid and a close aide during his time in office. After a decade of attempts at reconciliation, many viewed the Sunshine Policy as a failure. 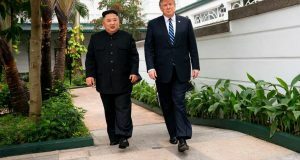 Critics suggested that North Korea had used it for financial gain without making real concessions in important areas such as its nuclear program or human rights. South Korea returned to conservative rule in 2008. Under the leadership of Lee Myung-bak and later Park Geun-hye, most of the key elements of the policy — such as the jointly run Kaesong Industrial Region — have been shut down or scaled back. 문 대통령은 그 정책을 잘 알고 있다. 문 대통령은 노무현 선거캠프 책임자였고 집권 기간 가까운 참모였다. 화해 시도 10년 후 많은 사람들은 햇볕정책은 실패했다고 평가했다. 비평가들은 북한이 핵 프로그램이나 인권과 같은 중요 쟁점에 있어 실제적으로 양보하는 것도 없이 햇볕정책을 재정적 이득을 위해 이용했다고 말했다. 한국 정부는 2008년 보수정권 집권으로 환원되었다. 이명박과 그 뒤를 이은 박근혜의 집권 하에서 남북한이 이 합동으로 운영하던 개성공단과 같은 햇볕정책의 상당수 주요 정책들이 폐쇄되거나 축소되었다. But now, after another decade of a new, harsher policy failed to curb Pyongyang’s antagonism, some argue it is time to revisit the merits of a Sunshine Policy. There is also a groundswell of support behind Moon after a huge scandal led to Park’s impeachment — one poll showed Moon with the highest approval rating ever for a South Korean president this early in their first term — and there is a desire for stability after so much domestic political upheaval. Moon may be able to win some short-term agreements from North Korea, which also made a call for talks in 2016. Both sides could scale back the tension along the DMZ or reintroduce a military hotline cut off by North Korea last year. The South Korean Red Cross Society has also proposed an attempt to set up reunions for families split between the North and South — an emotional issue in both countries. Similar reunions have not taken place since 2015. 문 대통령은 2016년 대화를 역시 요청했던 북한으로부터 단기간 합의를 이끌어 낼 수 있을지도 모른다. 남북한 양측은 비무장지대의 군사적 긴장을 완화하거나 작년 북한에 의해 차단된 군직통전화를 재개할 수도 있다. 또한 대한적십자사는 양국 간의 감정적인 문제인 남북한 이산가족의 상봉 시도를 제안했다. 이러한 가족 상봉은 2015년 이후 없었다. A recent poll found that nearly 76.9 percent of South Koreans favored a return to inter-Korean dialogue. 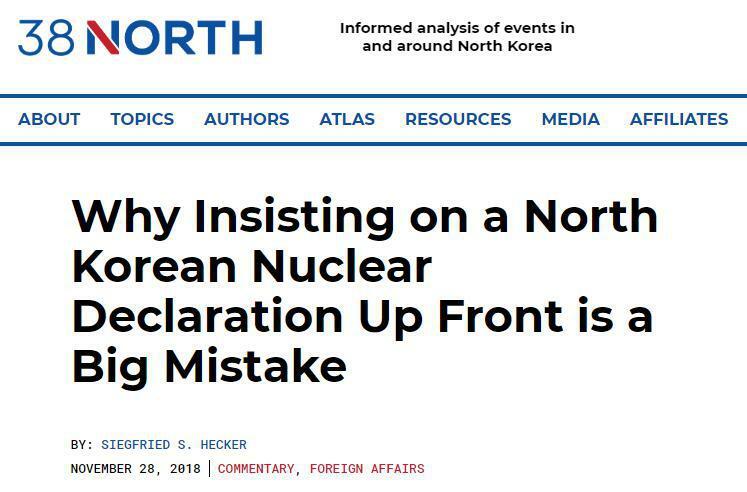 It’s not clear how they would feel if Seoul offered too many concessions or North Korea failed to live up to its side of the bargain or act belligerently. But right now, many liberal South Koreans seem to feel that talks are the best option of a bad bunch. 최근 여론조사에서 한국인의 거의 76.9%가 남북한 간의 대화 재개에 호의적이었다. 만일 한국 정부가 너무 많은 양보를 하거나 혹은 북한이 합의사항을 따르지 않고 적대적 행동을 한다면 한국인들이 어떻게 생각할지는 분명하지 않다. 그러나 지금 많은 진보적 한국인들은 대화가 그나마 최선의 선택이라고 느끼는 것 같다.